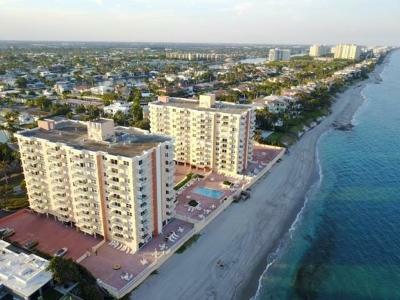 45 Ocean is a charming community right on the sand in beautiful Highland Beach. 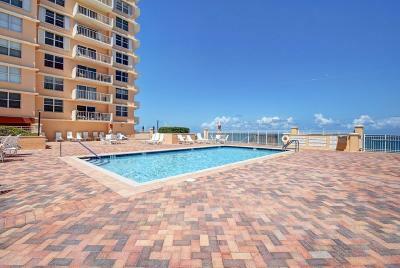 The community of 45 Ocean is comprised of two 10 story buildings of 160 apartments. 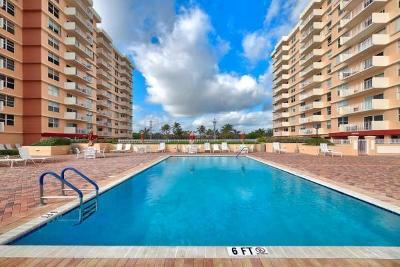 The units are 2 bedroom and 2 bathrooms and are approximately 1,100 square feet. 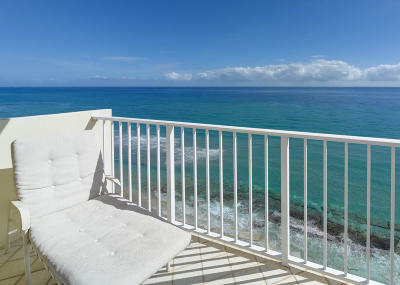 Enjoy tremendous views of the Atlantic Ocean, city, and the South Florida Intracoastal from a generous sized balcony. The corner units in this complex have 2 balconies to choose from. 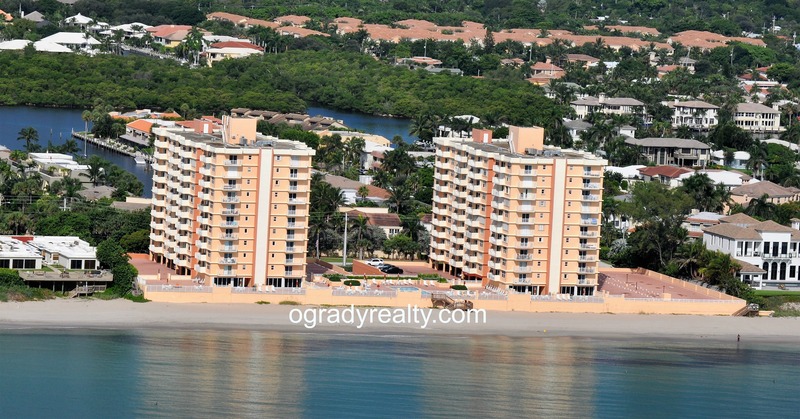 Formerly known as Ambassador’s South, the unique complex of 45 Ocean is one of a very few oceanfront buildings to allow one small animal, 15lbs or less. Another rarity is that washer and dryers can be installed in these units after the proper approval process has been followed. One other feature that makes 45 Ocean shine is that the building allows rentals after purchase, with a minimum rental period of 3 months. This is a perfect match for owners that cannot use their property all year long. 45 Ocean features other great amenities such as: garage parking, fitness room, large renovated social room, storage, billiards, BBQ area, and a manned security gate. 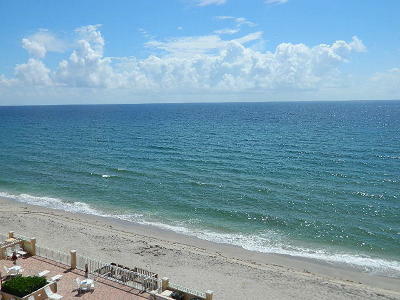 Come see all that this special waterfront community has to offer! © 2019 REALTOR® Association of Greater Fort Lauderdale, Inc. All rights reserved. Information deemed to be reliable but not guaranteed. The data relating to real estate for sale on this website comes in part from the IDX Program of the Fort Lauderdale Association of Realtors, Inc. Real estate listings held by brokerage firms other than John P. O'Grady Realty are marked with the BR logo and detailed information about them includes the name of the listing broker. Listing broker has attempted to offer accurate data, but buyers are advised to confirm all items. This site will be monitored for 'scraping' and any use of search facilities of data on the site other than by a consumer looking to purchase real estate, is prohibited. Information last updated on 2019-04-25.